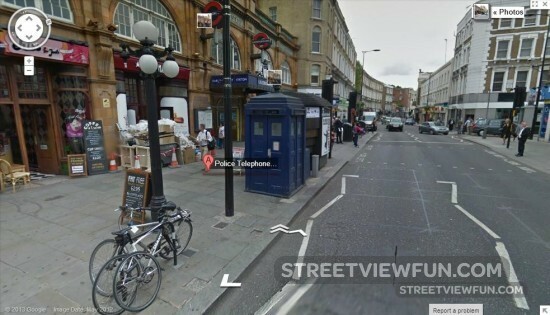 When you click the white double-arrows to move inside the police call box at Earl’s Court in London you get to see something amazing. Whoa! This is the famous time machine and spacecraft from Doctor Who, a British science fiction tv-series. 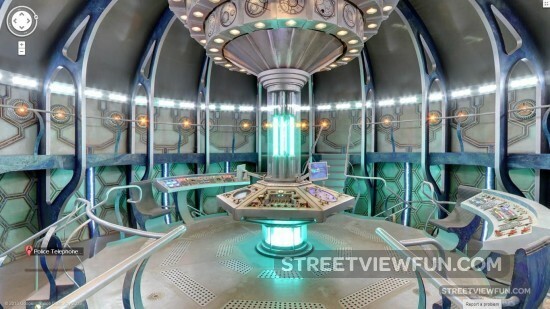 The name of it is Tardis (Time and Relative Dimension in Space). 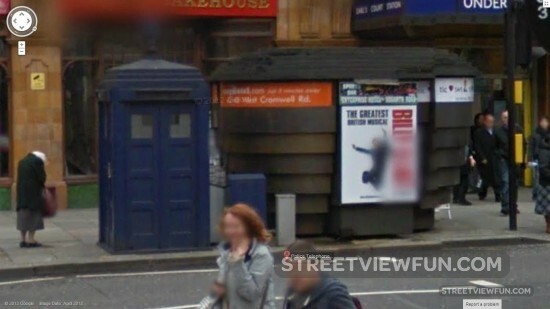 It’s actually inside the weird looking building next to the police phone box. I’m guessing this secret place is not open to tourists interested in travelling in time?